Everyone keeps saying Crane was under Katrina's spell for 250 years, but it was only 232! That's some serious rounding. You would think an Oxford professor would know how to count! 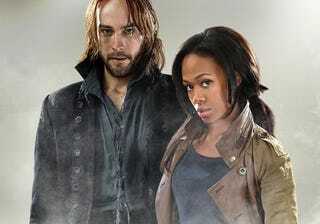 On the other hand, Abbie getting Ichabod to yell at an ump by convincing him that it's what he fought the Revolutionary War for was my favorite thing ever!